Two Australian chefs, Shane Osborn and Mark Best, have put their reputations on the line to compete in the most expensive non-scripted series ever made, Netflix's new show, The Final Table. Each of the 10 episodes focuses on a different country and its cuisine with 12 teams of two cooking – at the same time in a giant kitchen – the national dishes of Mexico, Spain, England, Brazil, France, Japan, USA, India and Italy. They are judged by celebrity ambassadors, food critics and an acclaimed chef from that country, eliminating teams until the finale. 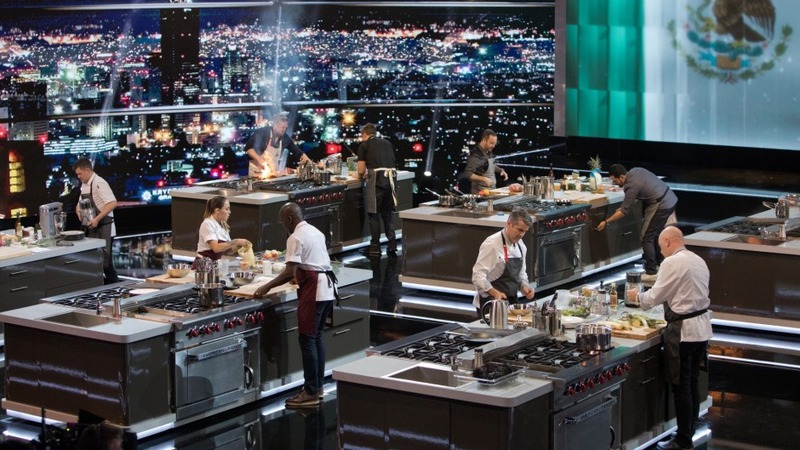 In the final episode, the members of the two remaining teams compete individually for the prize, a seat at the elite Final Table alongside nine revered chefs including Clare Smyth (Britain), Helena Rizzo (Brazil), Grant Achatz (US) and Carlo Cracco (Italy). The ambitious show, which positions itself as the world's most spectacular culinary competition, is rumoured to have cost $20 million. It was filmed in a studio the size of a football field with 200 crew and cameras and will be broadcast in 190 countries to more than 130 million subscribers. If successful, contestants could become international superstars overnight. Australia's entrant, Osborn and Best, have already notched up serious culinary accolades, including two Michelin stars for Osborn at Pied a Terre in London, and for Best, the breakthrough award on the San Pellegrino World's Best 50 for his former fine diner, Marque. Osborn, currently owner of one Michelin-starred Arcane in Hong Kong, says despite the potential risk to his reputation, he was motivated by the challenge. "I'm 48 years old and I've achieved everything I've wanted to in my career – the stars, owning restaurants," he says. "It was hard and a total roller-coaster ride with highs and lows and frustrations but those things are all part being a chef. I loved it. "I wasn't worried about getting judged, I'm judged twice a day by customers when cooking in an open kitchen, it's part and parcel of the job," Osborn says. Best, 53, says it was the purest test of cooking he'd ever experienced. "It had a certain gladiatorial element," says Best. "It was chef on chef, man on man (or woman), no PR, no marketing team, it was just down to pure skill, stripped back to basics. "Creatively, I had to use every resource in my arsenal. I had to second-guess what the judges were looking for and then achieve an extraordinary amount in one hour. How do I make a complete stock and sauce in one hour, or incredibly complex dish that usually takes seven hours? "When you're known for your reputation and you put that on the line, it's an entirely different proposition. It was more of a personal challenge for me, to prove that could I do it, and it felt amazing," he says. The Final Table is released on Netflix on Tuesday, November 20.